Qualified high school juniors and seniors may apply for admission to UW-Madison as a University Special student to enroll in one course per term for which they may earn high school credit, post-secondary credit, or both. Read below about the options for high school students to apply and enroll as a University Special student to earn credit. Visit our Orientation and Enrollment page for next steps! Wisconsin’s Early College Credit Program (ECCP) is available to Wisconsin public and private high school juniors and seniors for fall, spring, and summer terms. Under ECCP, the cost of tuition for approved courses is shared among the school district or private school, the state, and in some cases the students. Qualified high school juniors and seniors taking ECCP classes at UW-Madison are admitted as University Special students. They are permitted to take one (1) online, blended, or in-person course per term. Be a high school junior or senior with a minimum cumulative GPA of 3.000 (overall and in the most recent semester). Attend a Wisconsin public or private high school. Have support for your academic plan from your high school guidance counselor or principal, and district (for public schools). Note, online courses are not permitted under ECCP. 1. Talk with your high school guidance counselor to see if ECCP is a good fit for you. Your counselor will consider how the class aligns with your academic plans and whether you meet the prerequisites for taking a college-level class. 2. Obtain an ECCP participation form from your high school guidance counselor or download the PDF, and submit the completed form to your school officials. 3. Apply to UW-Madison as a University Special student using the University Special student application (select High School student – UNHS as your student type). All student enrollment generates a tuition bill. Billing will depend on the type of credit you will be earning (high school, post-secondary, or both). You will receive an eBill to notify you of the amount of tuition being charged. School districts won’t receive their tuition statements until near the drop deadline, so your eBill may not reflect their portion as paid. You are responsible for purchasing any textbooks or class supplies that are required for your course and should contact your school district about reimbursement. If you enroll in a course that was not approved by your school district, you are responsible for paying 100% of the tuition and fees as well as any penalties that may accrue due to late enrollment or late payment. Your admission letter will indicate whether you are a Wisconsin resident for tuition purposes. If you have questions about your residency status, contact the residency office at res4tuition@em.wisc.edu or 608-262-1355. To check current per credit rates visit the registrar’s fee page. The High School Special option (formerly the Traditional Program) is available to public and private high school juniors and seniors for fall, spring, and summer terms. Students pay full tuition and fees. 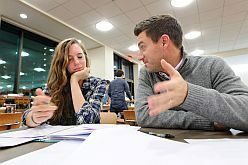 Qualified high school juniors and seniors taking classes at UW-Madison are admitted as University Special students to take one (1) course per term. Be a high school junior or senior with a minimum cumulative GPA of 3.0 (overall and in the most recent semester). Attend a public or private high school. Receive a recommendation for admission from your high school counselor or principal and their support of your enrollment plan. Apply to UW-Madison as a University Special student using the University Special student application (select High School student – UNHS as your student type). After you enroll in a class, you will receive an eBill notification to your @wisc.edu email; you can view the eBill in your MyUW Student Center. Your bill will indicate your tuition due date which is typically two weeks after you enroll. Your letter of admission will indicate whether you are a Wisconsin resident for tuition purposes. If you have questions about your residency status, please contact the residency office at res4tuition@em.wisc.edu or 608-262-1355. Visit the registrar’s fee page for the most current tuition rates per credit. UW-Madison hosts a variety of specialized summer programs for high school students to earn college credit. These specialized programs are NOT open to everyone, and each program has very specific eligibility criteria. Interested students should contact the individual programs to learn more about eligibility requirements, tuition costs and fees, programmatic details and next steps. ACSSS is merely the admitting office for these students. 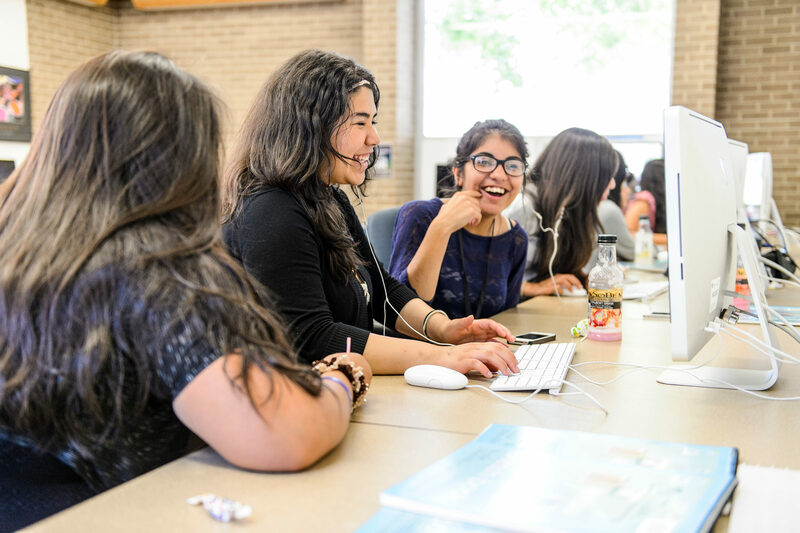 Rising high school juniors and seniors will explore art and experience college life in Imaging Self: School of Education Precollege Summer Arts Intensive, a for-credit, residential course at UW-Madison. Students will study visual art, dance, or theater and drama with world-class faculty and learn about themselves through artistic expression and interactions with practicing artists. This is a unique chance to earn 3 college credits, improve communication and writing skills, develop a portfolio, and prepare for college while living on campus for three weeks. The deadline to apply is May 1. Use this guide to help you navigate the application process. You will be notified via email of your admission decision within 2 weeks of receiving your application materials. For additional information about the program, please visit the Summer Term website or contact Maria Vishnevsky at maria.vishnevsky@wisc.edu. Experience an intense, three-week residential camp opportunity for exceptional high school students while enrolling in a three-credit college class at UW-Madison. Students have the option to choose either The Meaning of Life or Computer Science: Introduction to Discrete Math and will explore their chosen course with a small cohort of 12-16 students. While taking the course, students will live on campus for three weeks, participating in field trips and other activities at the Accelerated Learning Program. This is a chance to challenge yourself academically while becoming part of an unforgettable community of learners. For additional information about the program, please visit the WCATY website or contact Katie Effertz at katie.effertz@wisc.edu. 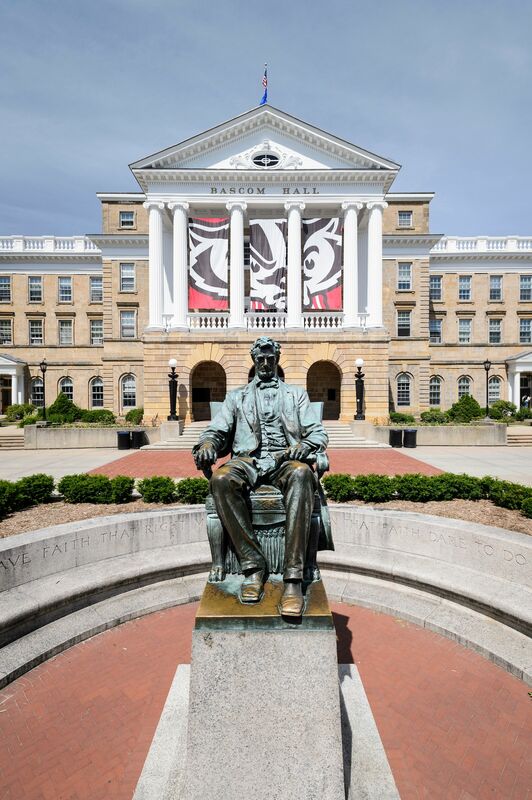 Enrolling in a college course at UW-Madison as a high school student is not to be taken lightly — it’s a big commitment and requires a lot of responsibility. Please carefully consider if taking a class at UW-Madison is right for you at this time. Review the following items to get a better understanding of what it means to be a High School Special student. Depending on where your high school is located, getting to and from campus can take a considerable amount of time. Parking is often difficult to find so build in time for finding a spot (if you intend to drive) and getting to your class from parking. Most courses involve both lecture and discussion and/or lab sections which may meet at different times of day so you’ll want to factor this in as well. High school University Special students are in the last group of students to enroll in courses; priority is given to degree-seeking students even when enrolling from a wait list. Final enrollment status may not be determined until after the first week of classes. There is no guarantee you will be able to get a spot in a class. Final exams are usually scheduled outside of regular class time. Refer to course details in the Schedule of Classes to ensure you are available for final exams. As an enrolled high school student you earn university credit and establish a permanent UW-Madison record. The GPA earned from coursework completed as a high school University Special student would be applied to your undergraduate GPA should you attend UW-Madison as a degree-seeking student in the future. Courses taken as a University Special student become part of the permanent University record and may affect subsequent admission to post secondary institutions. A poor or incomplete grade could have a negative impact on a future admission decision. Once enrolled, you have all the rights of University students as well as the responsibilities including meeting deadlines for enrollment, adding and dropping courses, and withdrawing. The current Schedule of Classes has deadline information. For questions regarding University Special student policy, contact ACSSS. Some courses require student group meetings outside of class time which may include evenings. If you have other evening activities and/or live a considerable distance from campus, you’ll want to keep this in mind when deciding if taking a class will work for you. Due to high demand from degree-seeking students, the availability of certain courses is limited. Languages, computer science, and sciences are a few examples of the types of classes that are often in high demand from degree-seeking students. Enrolled high school students are expected to fully participate in classes and are graded on par with their undergraduate classmates. Placement tests are available for math and foreign language to help you determine what level course is appropriate for you. For math placement testing, see Testing and Evaluation. For language placement testing, see Languages at UW-Madison. You may also need to work with advisors in the math or foreign language departments to determine the correct placement based upon previous coursework you may have had. Student Privacy Rights (FERPA) rules apply to ALL University students. Communication is expected from students (not parents), and is restricted by law in regards to student record, including course schedule. This includes communicating with faculty, teaching assistants, advisors, and deans. Once you’ve completed the application process for the program option of your choice, visit our Orientation and Enrollment page to learn more about your next steps!